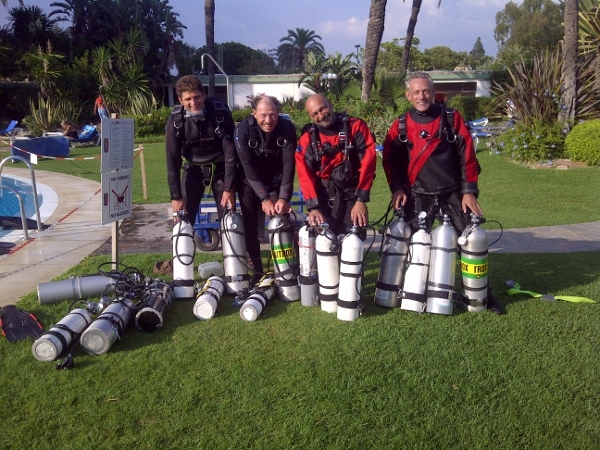 We just finished our Tec Sidemount Diver and Instructor course with Luca Belladonna as our instructor and trainer. We, the participants could not have had an experience background with more difference between each other. There was an Ex Commercial Diver a Tec Deep and a Tec Trimix instructor. While two participants did not have any experience in Sidemount diving at all, the Tec Deep instructor had ample experience in recreational sidemount diving which definitely was an advantage for adding more tanks to the usual two cylinders and to learn how to handle them. Can you please explain the cylinder trim in the last picture, surely this can’t be right? Please bear in mind that the article is about a training program and the pictures posted show divers in training. Trim and streamlining are an important part of the Sidemount diver course, but it may take more than one dive to perfect these aspects of sisdemount diving. 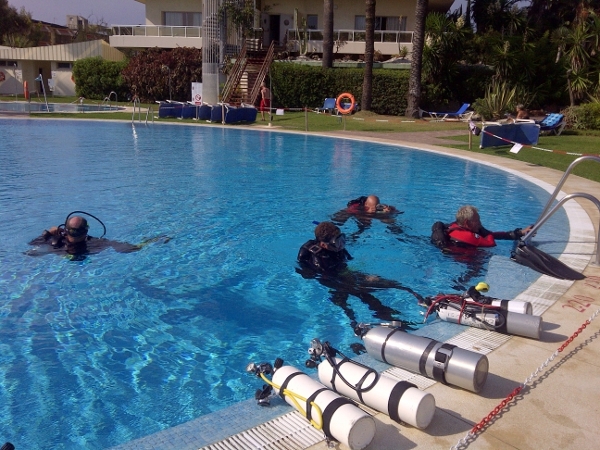 Previous PostPrevious Poseidon MkVI T registered for use on PADI Tec 40 CCR and Tec 60 CCR courses.